Our program strives to provide your teenager with the self-confidence and focus they need to make it in today's world while teaching them how to be respectful. 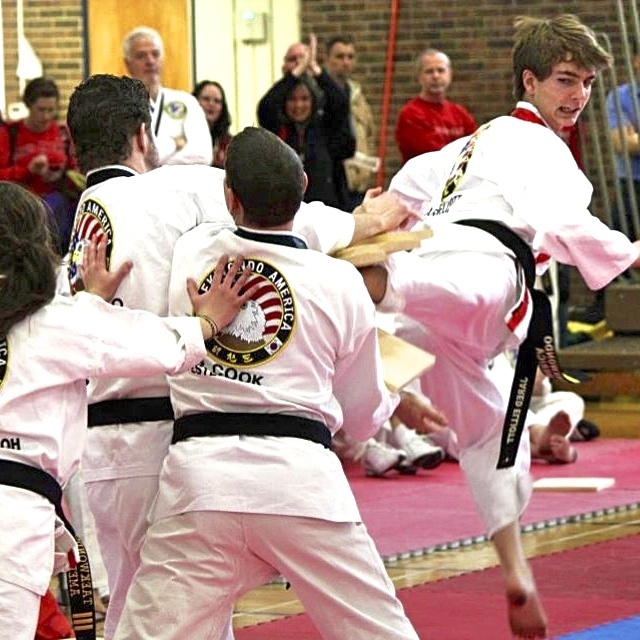 Nelson's Taekwondo America martial arts center is a safe and positive environment, providing a fun activity-driven atmosphere where those with common interests can join together in physically rewarding and mentally challenging activities. Please contact us with any questions at 859-263-0033. GET STARTED NOW, TAP HERE TO PURCHASE OUR AWESOME WEB SPECIAL TRIAL. Our teen students develop real self-defense skills as well as agility, flexibility, speed, focus and many other athletic skills.